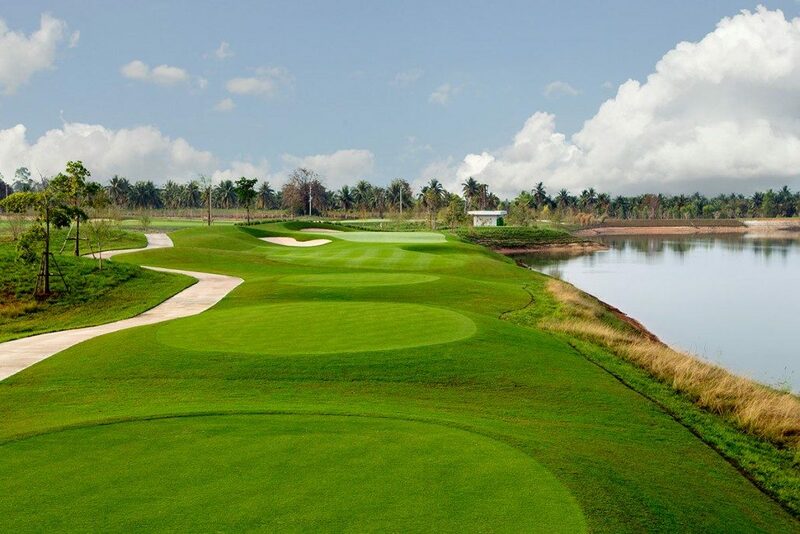 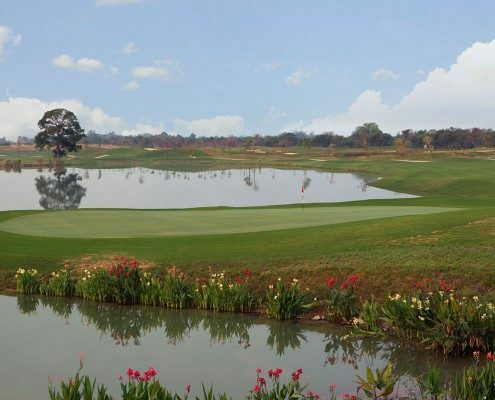 The Waterside Course is the third layout from Siam Country Club. 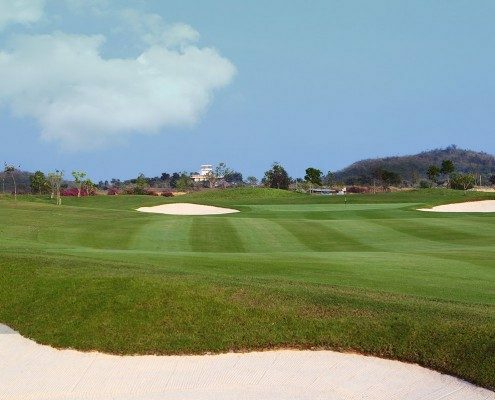 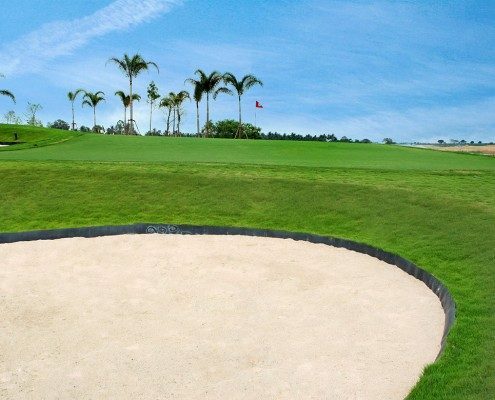 Designed by IMG, the course features gently sloping terrain, making it different from its hillier sister courses at Siam Country Club. 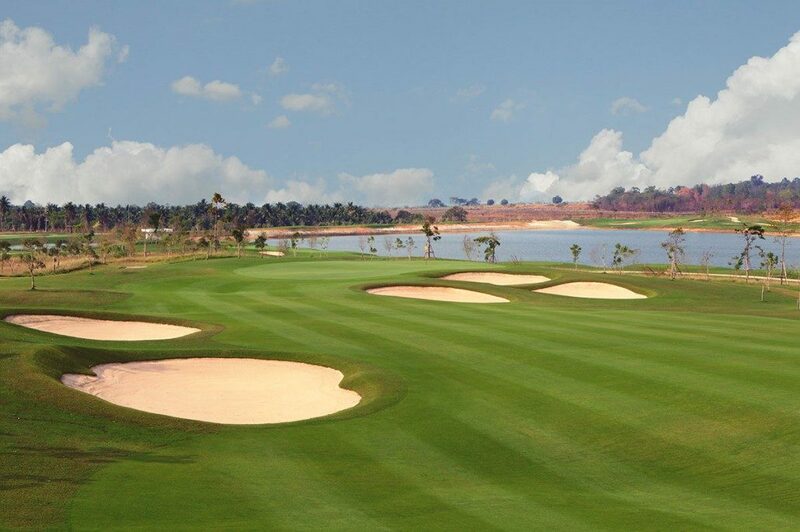 Environmental waste areas and straightforward shot making are the emphasis of most holes at the Waterside Course. 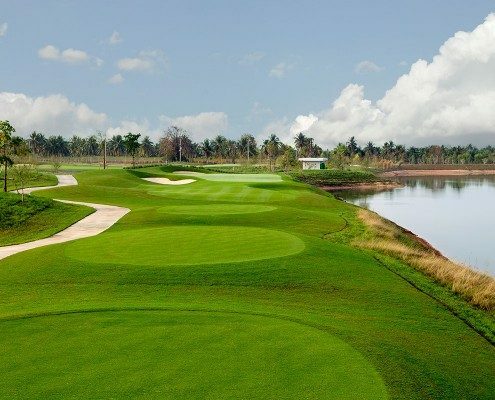 Course design is strategic with several lakes and creeks in play. 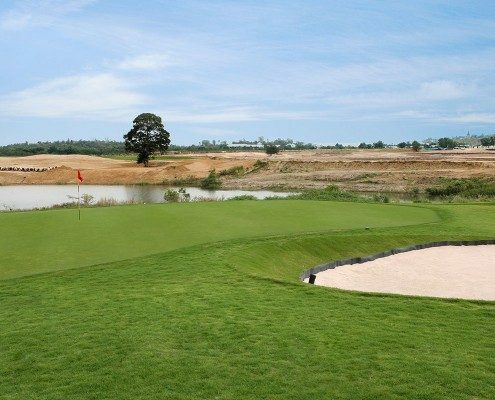 The final 3 holes on each nine are framed by water while the others play inland in a links-style. 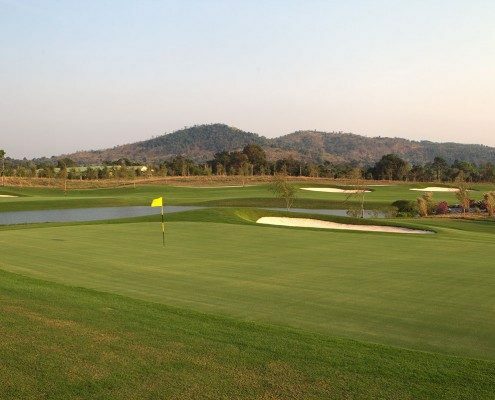 The greens are basically flush with the fairways which make for many birdie opportunities. 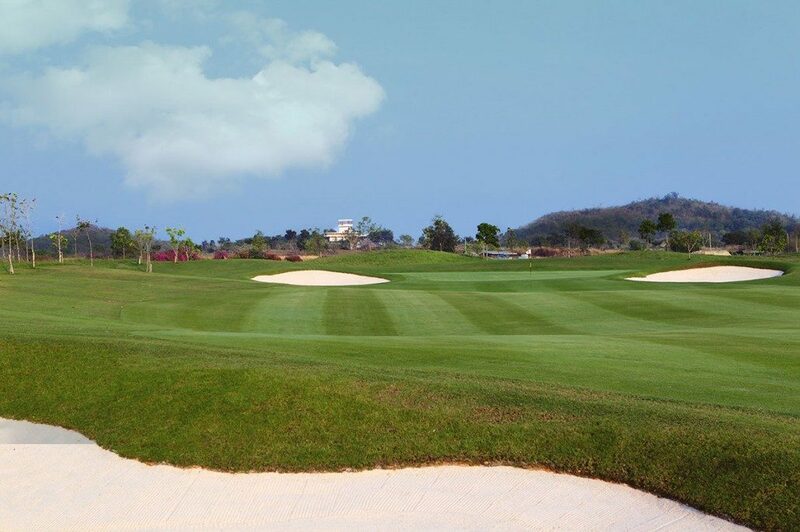 Grasses and course conditioning are excellent. 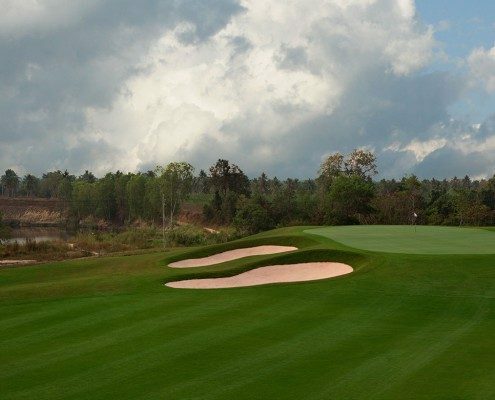 Some of the most notable holes include the 17th which is a long 600 yard par-5 that gives big hitters the option to cut across a dogleg left over water to reach the green in two or shorter hitters a layup, but still challenging shot over a deep ravine to make the green in regulation. 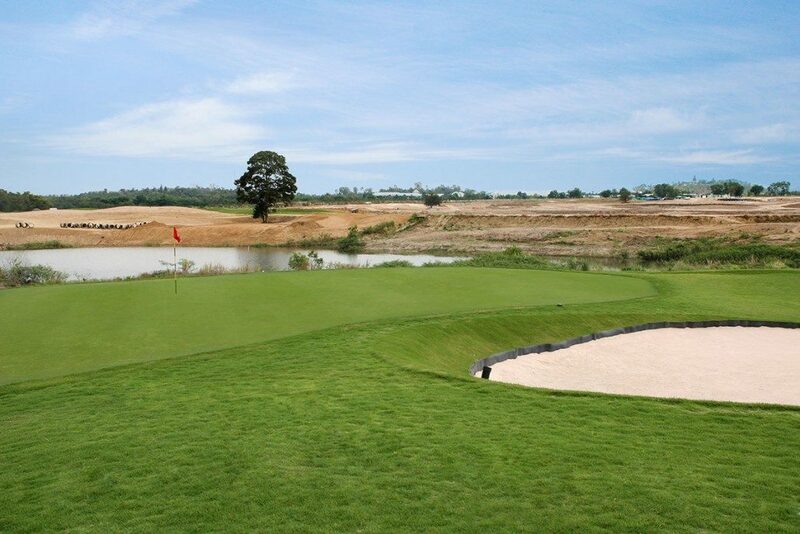 The lone tree is well left of the green and a good target if playing a layup shot. 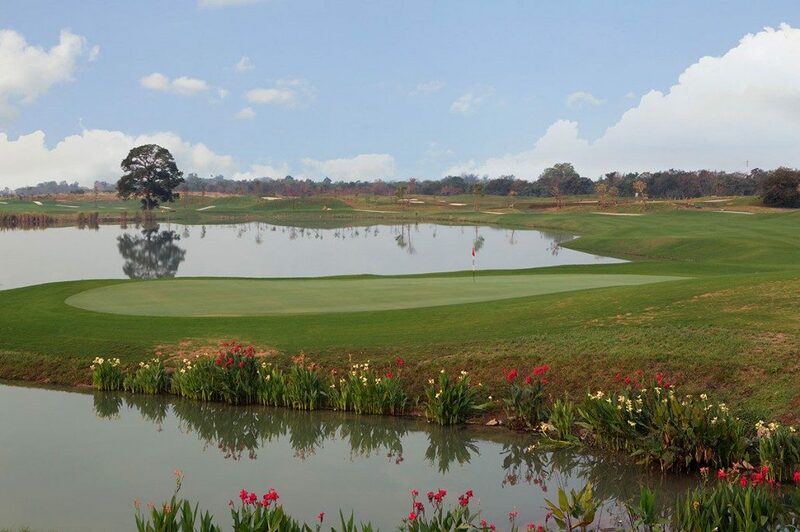 The final hole is a great finishing hole playing around the large manmade lake in front of the club house. 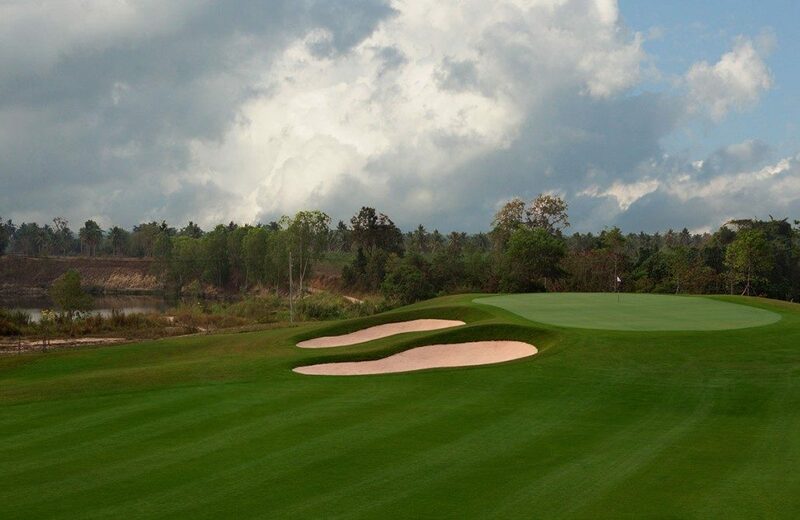 The 420 yard par-4 is a monster for any golfer, especially playing into the prevailing winds. 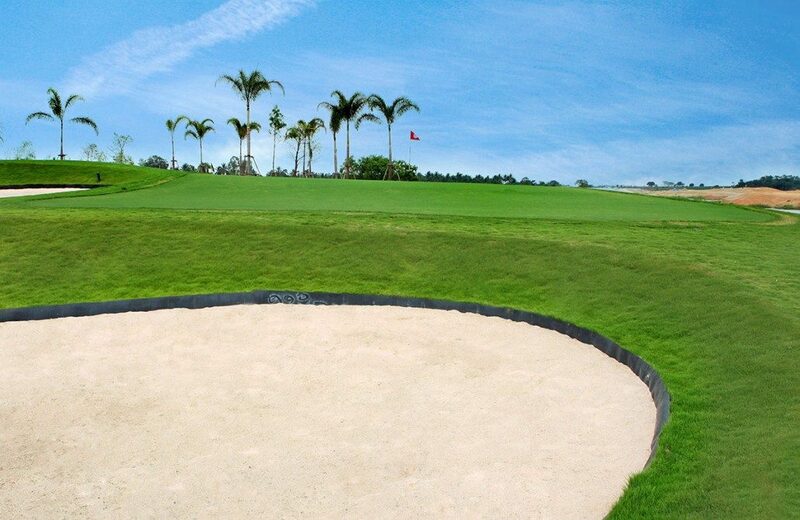 Many rounds will be settled here with the rare birdy possible, but many more bogies or worse more likely. 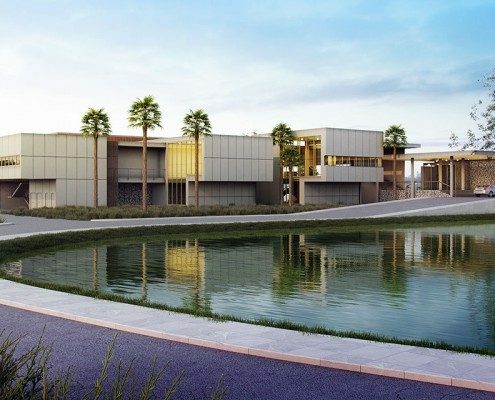 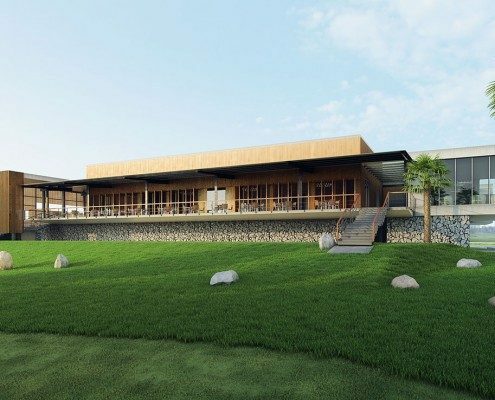 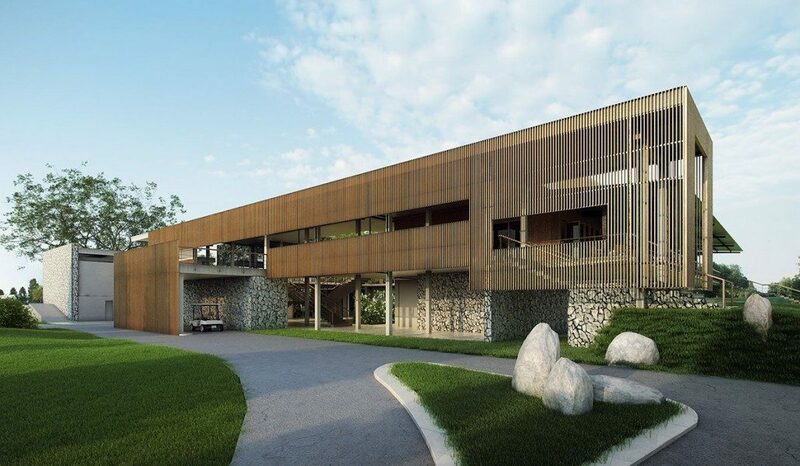 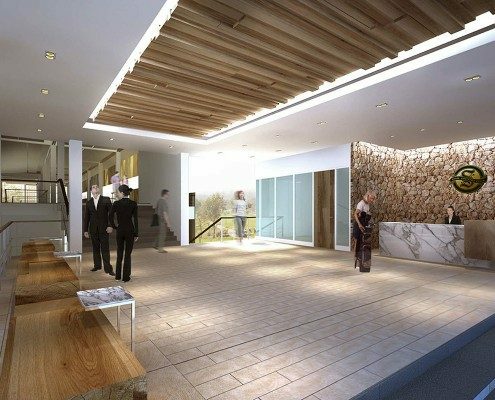 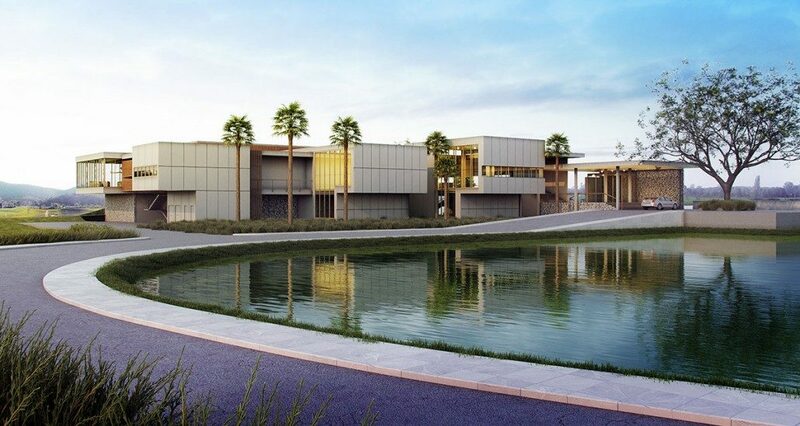 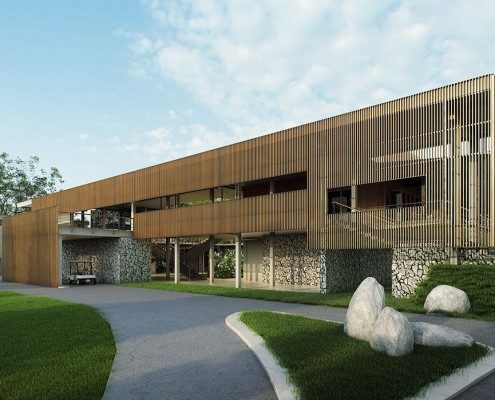 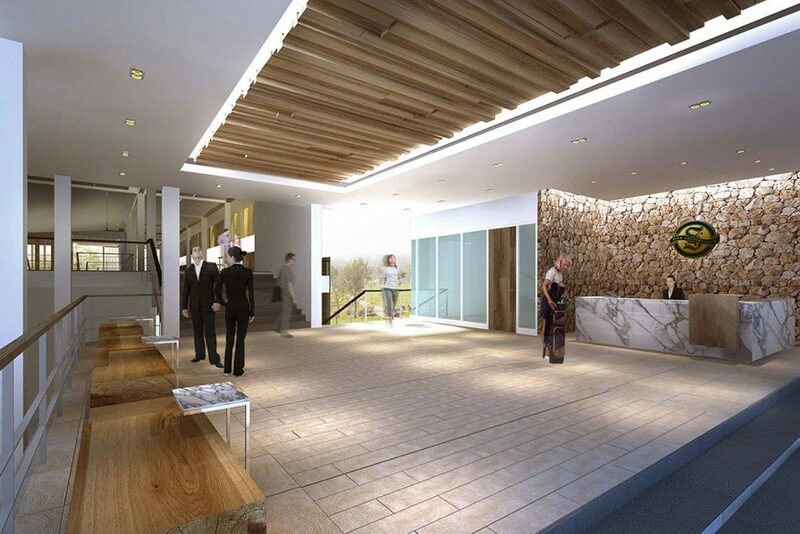 The Waterside clubhouse is of modern contemporary design and has all the facilities of a top golf club. 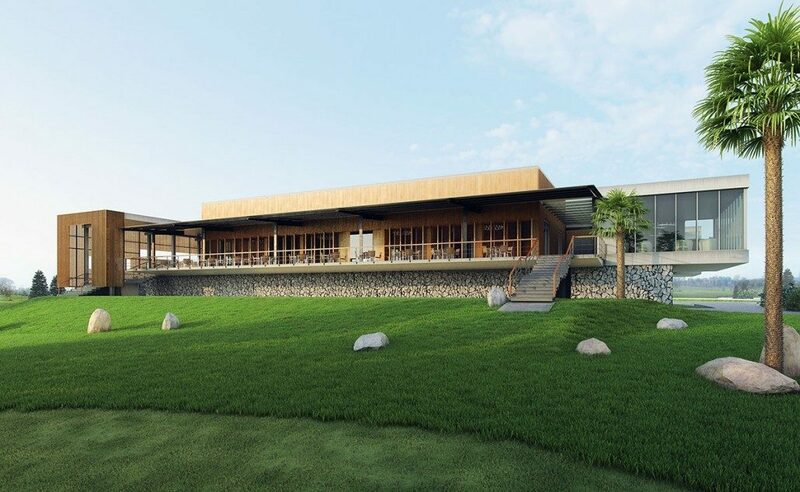 The clubhouse features a 180 degree view of the surrounding valley. 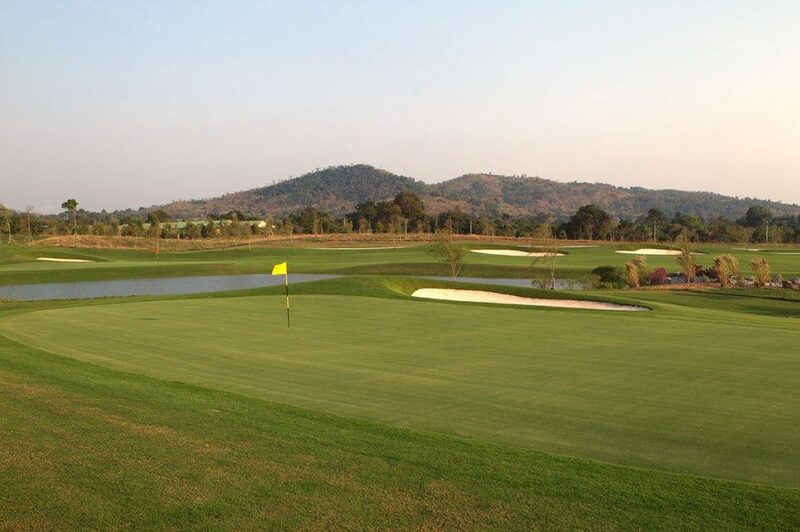 From the terrace golfers can see how the course, lakes, creeks and landscaping blend in with natural land formations. 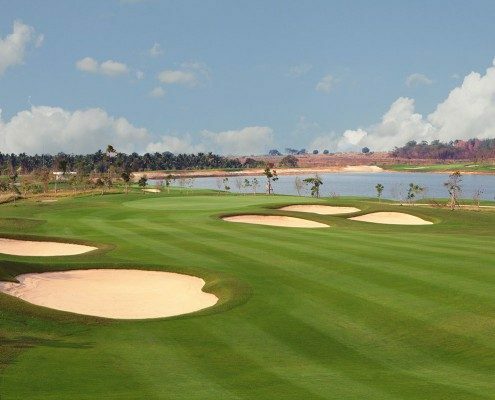 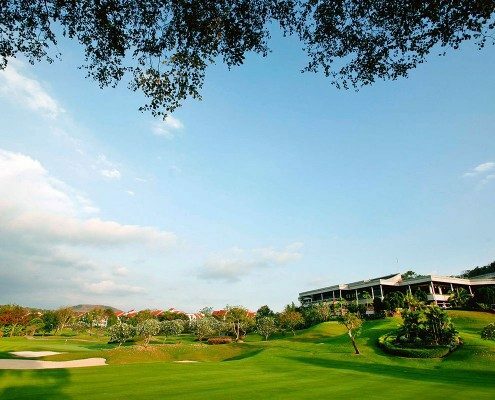 Visit Siam Country Club, Waterside Course on Golfasian.com for more details.